Let’s go for a ride in Wisconsin! Wisconsin has roughly 10,000 miles of OHV trails throughout the rolling hills and majestic forests that cover much of the northern part of the state. While this sport is growing in popularity, Wisconsin has made a huge effort in maintaining trails to allow for users to travel them year round. Let’s explore some of these trails! Please be sure to check with local DNR to see what the new ATV/UTV laws require. RentWisconsinCabins.com has hundreds of cabins on atv trails! Price County Trails is an easy trail that used to be part of a railway system, now converted to an ATV trail. The 62 miles open for ATVs is along 6 different towns that have plenty to offer for gas, food and lodging. These towns are ATV friendly and allow users to use the posted sign routes to access the town’s resources. Park Falls area has vacation rentals near the trail for added convenience. This season runs April 15 through November 15, allowing the fantastic views of the forest to mesmerize you while you ride your ATVs. For more challenging rides, go to Hayward. Hayward has some of the best ATV loops and trails in Wisconsin and even some say in the tri state area. We recommend the Dead Horse Trail along with these Hayward cabins. This 55 mile trail is not as easy as others and are for more slightly experienced riders. These continuous loops roll the Chequamegon National Forest where the pines overwhelm the naturalist. This trail will take you through wetlands and prairie as well. Bayfield County has ton to offer when it comes to ATVs and UTVs and offers a plethora of scenery unmatched by many trails in the state. This trails struts alongside the largest body of water, Lake Superior. The Vallhalla trail system is an easy trail that goes right along the big lake through wooded areas and hilly terrain, connecting riders through other trails, some leading right though the national forest and a glacial pit, spitting riders back out at a very appealing landscape after climbing steep and long inclines. From there, you can take the Trail 40, also known as the Lenawee Trail as it connects to the Old Baldy Trail. This trail takes you through the pine forest and an overlook onto Lake Superior where Minnesota just barely makes an appearance across the deep vast waters. As riders make their way on Battle Axe trail into Iron River on Trail 31, riders typically stop for lodging In Iron River. 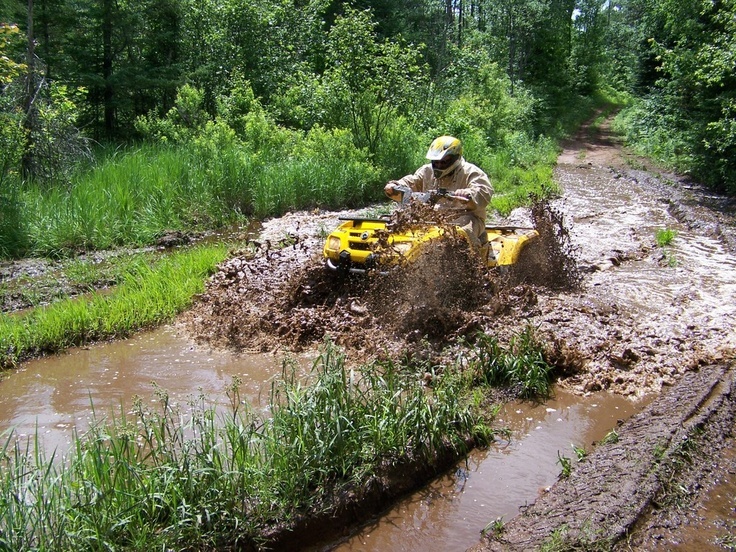 Iron River boasts over 500 miles of ATV trails. There is also great hiking, fishing, biking, and swimming in the area making it an ultimate adventure trip. Go along the waterfalls, rumbling rivers, prairies, lakes and streams with ATVs, and experience what most do not. This can be fun for the whole family or just a trip for the guys or gals. We know some Wisconsin fans are bummed that our National Parks, Forests, and Trails are closed. On the bright side, Wisconsin does offer a variety of FUN alternatives for this fall! Enjoy 41 miles of walking, jogging, and biking paths at this state trail. Plus, two segments of the trail are open for horseback riding! Come enjoy the hills and valleys at this state forest in Wisconsin. There are 9 state nature areas: Buff Creek, Kettle Moraine Low Prairie, Ottawa Lake Fen, and more. Vacationers (and locals) love this Door County State Park. You’ll want to explore the climbing tower with awesome views, Eagle Bluff Lighthouse, and the variety of hiking and biking trails. Plus, this park is also certified through Travel Green Wisconsin. You’ll love to explore the 92,000 acres of forestland which runs along two branches of the Flambeau River. This forest is commonly known for canoeing and also offers a variety of hiking trips. This trail is certified by Travel Green Wisconsin – offering a variety of innovation solutions. Vacationers love the 18-mile railbed trail, awesome for biking and hiking. Don't have a WordPress account? No problem! Enter your email address to follow this blog and receive notifications of new posts by email. Wisconsin Vacation Rentals with Sand Beaches. 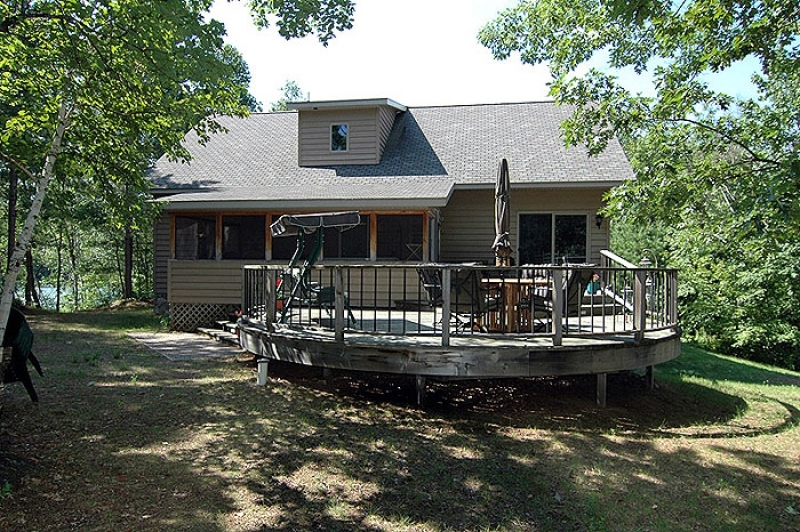 Wisconsin Vacation cabins & cottages that include boats! The best large group Wisconsin vacation rentals for the Holidays.